Fort Myers, FL – The South Florida Water Management District (SFWMD) today officially completed the restoration of 1,000 acres of the Southern Corkscrew Regional Ecosystem Watershed (CREW) in Lee County before handing the project over to its Land Stewardship Division for long term management. "By taking out roads and plugging ditches, this agency continues much needed restoration while also maintaining flood control by providing water storage to protect nearby residential properties," said Big Cypress Basin Board Chairman and SFWMD Governing Board member Rick Barber, an avid hiker of the CREW region and longtime secretary of the CREW Trust Executive Committee. "As the results of our efforts begin to pay dividends, I have no doubt that Southern Corkscrew will be fully restored to its natural beauty." SFWMD and its partners – representing businesses, environmental groups, landowners and governmental agencies – manage the watershed for its numerous benefits to water storage and wildlife preservation. 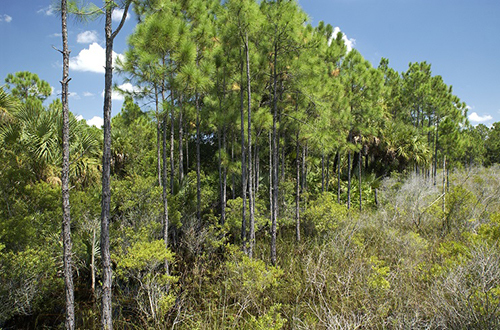 The 60,000-acre watershed, spanning Lee and Collier counties, includes a 5,000-acre marsh at its headwaters, as well as the famous Audubon Corkscrew Swamp Sanctuary.